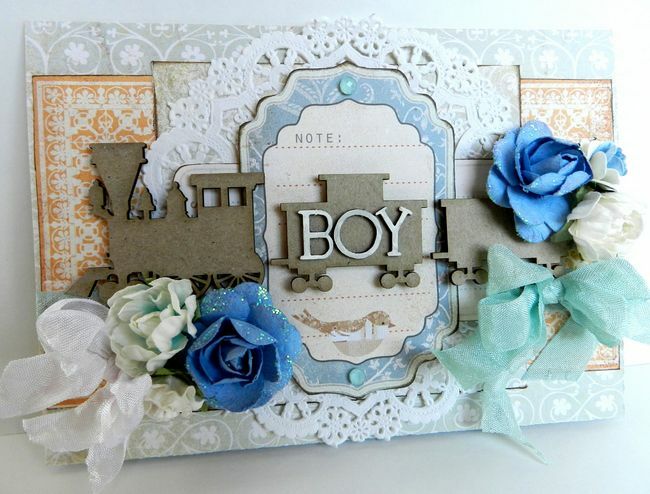 Erin Blegen: My Scrap Cabin: All Boy w/Scrap FX~!! Good evening! I'm finally sitting down after a long day of baking and cleaning- I put off the Thanksgiving dishes until tonight which was NOT a good idea, lol! Especially with my lack of running water...but it's done and I'm SO glad that I am! I hope you all had a great Thanksgiving holiday (for those of you who celebrate) and were safe while out doing your Black Friday shopping (once again, if you do so). I got ALL of my Christmas shopping done online today! What a relief! Took advantage of some great deals and feel I got a nice variety of goodies for my kids and their cousins, including matching fleece pajamas for 8 kids! I'm admittedly a fleece footie pajama fanatic~ you can never have too many of them :)~ and the Christmas patterned once are just way too adorable. 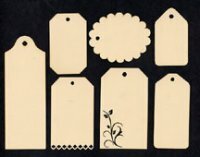 Can't wait to take pictures of them all wearing them~!! It’s not uncommon for me to combine “boy” and “girl” colors together on my masculine layouts! I just love color so much! And I love how the purples and blues look with the brown and cream shades, so I really tried to keep my chipboard pieces more masculine to balance out this scheme. 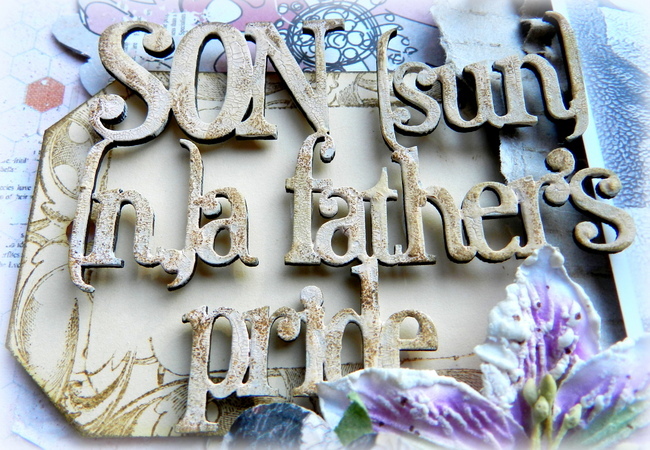 The “Son definition” piece was the inspiration for this layout. I thought it was just too adorable! I’ve first primed it with gesso before covering with a pale pink crackle paint. After drying with a heat gun I dabbed it randomly with a dark shade of brown ink and then finally topped the whole thing off with just a hint of sandy colored ink. As the base for my title I’ve used a tag from the “Tags, mixed cream” set. I’ve edged it with some brown ink before stamping around the perimeter. 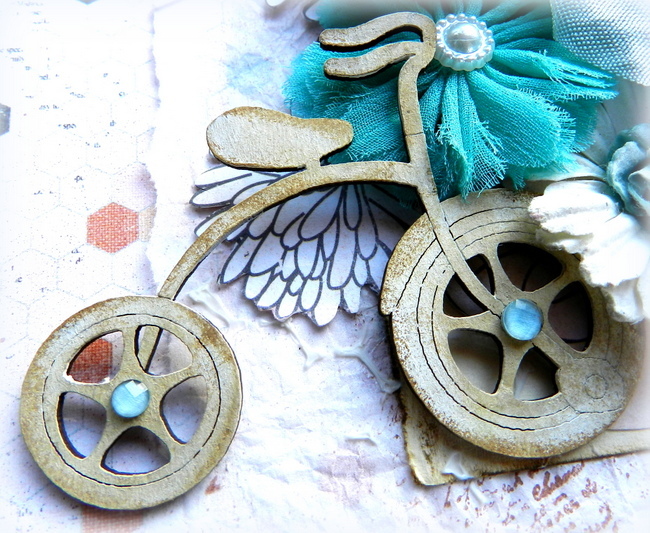 Isn’t this “Tricycle” just cute?! I wanted it to look a little vintage, so I treated first with gesso, edged with dark brown ink, and then added a lighter brown shade over the top before blending the two colors together. I’ve also added just a hint of bling to the tires! I’ve applied the same methods to the scooter boy from the “Scooter Kids” pack. I placed him racing away from my flower cluster, as any boy would do!! Next, I have a card to share! A good friend of mine recently had a baby boy, so it was the perfect opportunity to create a sweet baby boy card to send her! The primary focus of this card is the adorably sweet “Train Set, mini” pieces. I left them raw as I loved how they looked “as is”, especially with this color scheme. And overtop I’ve simply placed my “Boy” title, using letters from the new “Playground Alphabet, small” letter set! Absolutely amazing Erin. I love the techniques on the Scrap FX chippies. just love the new chippies! awesome layout and card! Det er super flot erin, som sædvanlig, den cykel og løbehjulet er bare så lækkert. Knus morkaren. 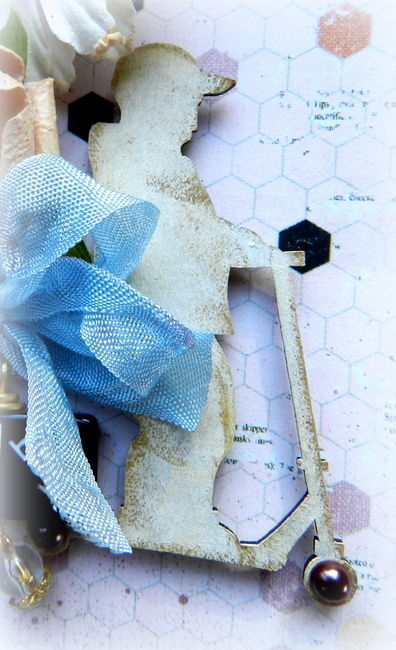 Awww, Erin, the layout and card are beautiful! You really know how to make masculine projects with flowers so well. 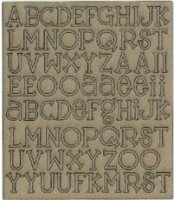 I love FX chipboard, especially the words. Wow! These are just beautiful! So amazing! these are great Erin, love that saying too and the train on the card is so cute! Totally gorgeous, Erin! Love what you've done to the chippie pieces...fab work! I can't wait to see pics of all 8 kids in the same pyjamas...too cute! Wonderful job Erin! Simply stunning!! And what a busy day you had - you must have been wiped out!! Gorgeous gorgeous. I just received this paper today. Cannot wait to use it. You have done a beautiful job with it. 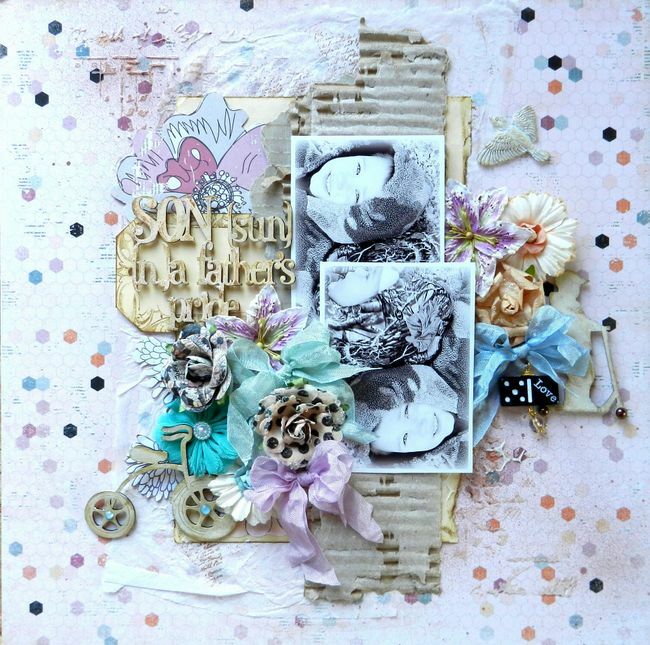 Love the b&w photos with this mix of colors Erin and all of the treatments on your chipboard pieces look really amazing! Love the beautiful, wintry feel of your LO! And that sure is one cute card!